Here are the four basic led circuits, in these circuits a single LED is operated with four different voltage batteries using a different current limiting resistor with each battery. If you want to operate your LED with other voltages like for example 4, 5, 7, 8, 14, etc. 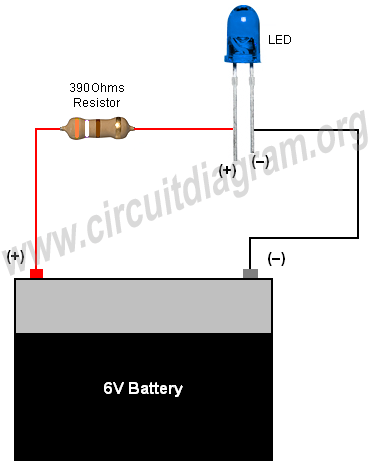 then you can also find a suitable resistor for these voltages with the help of LED led resistor calculator. There are many websites, which provide free led resistor calculator and you can find them by seach. 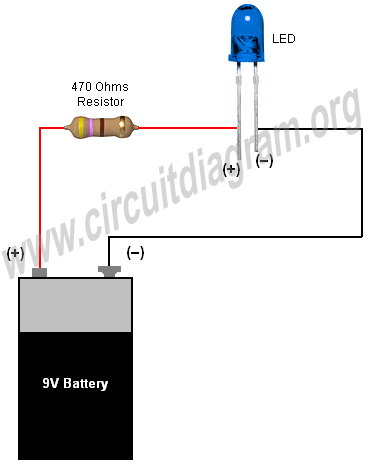 Fig 1: 3 volt basic LED circuit with 10 Ohms resistor. Fig 2: 6 volt basic LED circuit with 390 Ohms resistor. Fig 3: 9 volt basic LED circuit with 470 Ohms resistor. Fig 4: 12 volt basic LED circuit with 560 Ohms resistor.